RR Donnelley Walkin Drive | Hiring MBA Freshers | 19th to 23rd February 2018. RR Donnelley is conducting Walkins in Chennai for Associate, Senior Associate – (Technical) positions. Aspirants who had completed their graduation in MBA – Finance, M.com can attend for this RR Donnelley Careers. RR Donnelley has mentioned that good knowledge of MS Office are only eligible to attend for this drive. So candidates can read the RR Donnelley Walkin Drive whole data carefully, before attending for this Walkin. 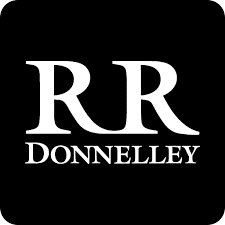 RR Donnelley is hiring MBA – Finance, M.com graduates for Research & Analytics Designation. Candidates must have Good Communication Skills & flexibility to work night shifts. While going to appear for the RR Donnelley Walkin Drive aspirants must bring original Identity proof along with them. Because sometimes security people will not be allowed into the company without showing the proper ID. Nowadays getting a job in IT Sector it is not an easy matter. So contenders have to practice hard to get selected in the RR Donnelley Selection Process. Here we have provided the RR Donnelley Placement Papers and also RR Donnelley Test Pattern for better exam preparation. Contenders can utilize this opportunity and prove your best to set career. With the help of this preparation, you can crack the RR Donnelley Walkin Drive test easily. For other IT Jobs candidates can follow our website www.allindiajobs.in to know more factful information. Position Description: Provide high quality, real-time research assistance to bankers/consultants in support of client projects Perform research including but not limited to the online retrieval of financial information, company fundamentals, and market data as well as performing basic research functions using secondary databases, outside sources, and academics. Essential Qualifications: Graduates, Postgraduates in Finance, MBA in Finance or any other degree that is considered suitable to perform the required function. Technical Qualifications, Experience: Certification in Typing and Microsoft Office Specialist certification at a intermediate level in Word, Excel, PPT and basic skills in Creative PPT, with basic levels in Photoshop and Illustrator (good to have). Good exposure to the internet. Knowledge of basic accounting terminology. Experience: Fresh candidates with no experience would generally be recruited as Research Associates. However, the management reserves the right to recruit candidates with 0-1 year work experience that is not directly relevant, as Research Associate. Organization Structure: Report to the Associate Research Manager, Team Lead as the case may be. Work Schedule: Ability to work a flexible schedule during the day, night and weekend shifts. RR Donnelley is a leading global provider of integrated solutions that enables organizations around the world to effectively create, manage, deliver and optimize their multichannel marketing and business communications. More than 42,000 employees are working in our RR Donnelley offices. It is located in North America, Europe, India, Sri Lanka and the Philippines. Interested aspirants can check the details about RR Donnelley Recruitment which will be held in Chennai on 19th to 23rd February 2018. Interested candidates can directly attend for the RR Donnelley Walkin Drive at the below mentioned venue along with the mandatory testaments. We hope that the information about RR Donnelley Walkin Drive in Chennai is useful for your job search. 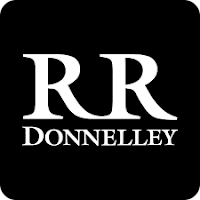 This page will give the clear information about RR Donnelley Recruitment. For further details, candidates can follow our website All India Jobs for more regular job information.